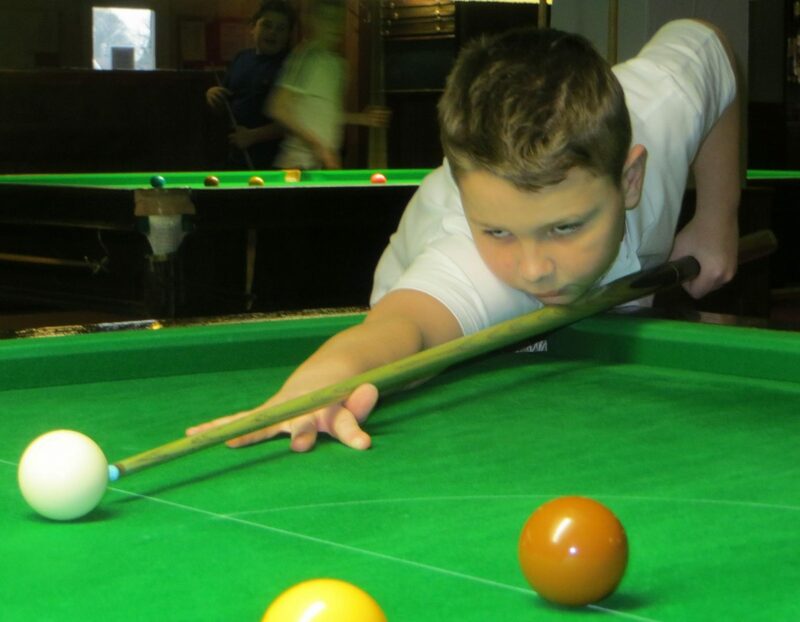 The 12-year-old wants to emulate the likes of Judd Trump and Ronnie O’Sullivan. I remember growing up I got a mini snooker table. It was a Steve Davis endorsed table and I played it all the time. I even copied his bridge hand. I played with my dad on real tables but they dried up when he lost interest. He said I cared too much about winning so it wasn’t enjoyable. I regret that attitude. But Oliver Sykes doesn’t have that trouble – he can’t stop winning. At 11 years of age, Oliver announced his “retirement” from the Eastleigh & District Under-13 League after winning five Premier titles (a record). He made his EASB Premier Junior Tour debut last September, becoming the youngest player on that tour at 12. He also made his highest competition break that month with a 96 en route to winning his first Cuestars Under-21 Gold Tour event. His coach Tim Dunkley has praised his temperament and focus. If he keeps progressing he can go a long way, but he just needs to keep looking towards the next stage. You can stream a profile below on Oliver Sykes, courtesy of Trans World Sport. Next Next post: VAR is Revolution!